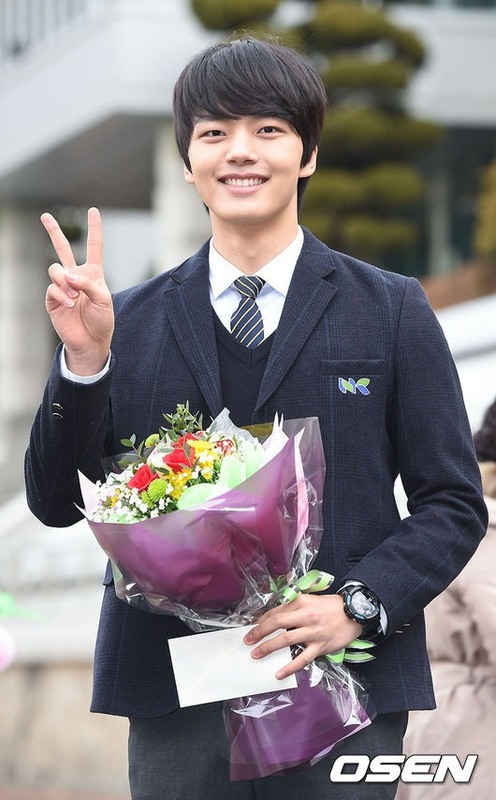 Actor Yeo Jin-gu graduated from Namgang High School in Seoul on Friday. Yeo was accepted to Chung-Ang University, which is a private university, where he will study theater from March onwards. Yeo was cast in the SBS historic TV series, “Dae-bak,” which revolves around a gambler called Jang Keun-suk, and King Yeongjo of Joseon Dynasty, played by Yeo. Previously, Yeo rose to fame as a child actor when he played young King Lee Hwon in the hit TV series “Moon Embracing the Sun” (2012). The viewership ratings for this show surpassed 40 percent.